Whether you are traveling by land, air or sea, these cases have all the right features that making shipping expensive camera gear or other electronic equipment easy and worry-free. 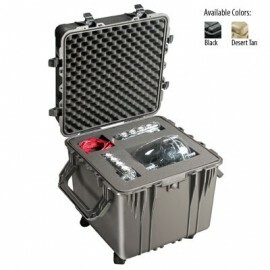 These heavy-duty Pelican Cube Cases are crushproof, dust proof and waterproof. The hard plastic construction is crushproof and the lid has a o-ring that provides and air-tight seal when closed, preventing dust, water and moisture from entering the case. The large cube design gives you plenty of storage space. 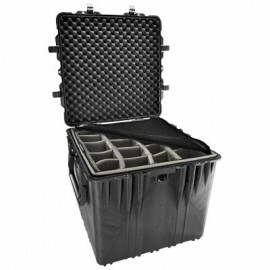 Another benefit of theses pelican cases are the dual double-wide handles and built-in wheels. The large handles give plenty of room for using two hands when lifting, while the stainless steel caster wheels provide a smooth glide when pushing the case. 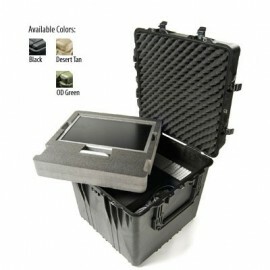 Pelican shipping cases are available in various colors and your choice of no foam or Pick 'N' Pluck foam. 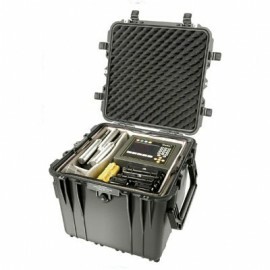 Pelican Cube Cases are great for scientists, archeologists and explorers traveling on long expeditions with expensive gear, including camera equipments, computers and more.